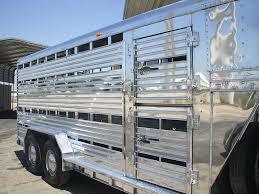 Modern horse trailers have complex materials like painted aluminum siding, aluminum, steel and galvanized materials. Let us help you maintain your investment in your horse trailer with professional washing and waxing that will not only get rid of the grime and grit, but also will protect your trailer from the harsh New England weather. Enclosed trailers need regular washing and waxing with ph-neutral soaps to prevent dulling and oxidization. Keep your trailer looking fresh with a wash, a wash and wax or a full reconditioning. At Tourbillon Trailer Sales, we have the experience and products to keep your trailer looking like new. Our cleaning products are specially formulated to complement tricky trailer materials like fiberglass, wood, and paint, leaving both your interior and exterior sparkling. 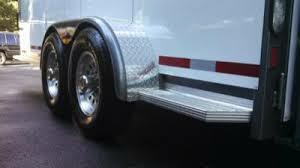 And, our team of technicians has the expertise to help you with your trailer's specific maintenance and repair needs. Call or Click Here to schedule your appointment today!